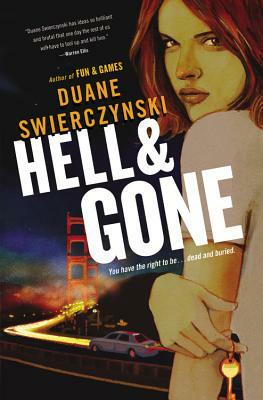 Duane Swierczynski is the author of several crime thrillers and also writes the X-Men spinoff CABLE and IMMORTAL IRON FIST for Marvel Comics. His latest novels include EXPIRATION DATE; LEVEL 26, cowritten with CSI creator Anthony E,. Zuicker; and SEVERANCE PACKAGE, which has been optioned by Lionsgate films. He lives in Philadelphia with his wife and children.